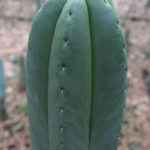 Echinopsis scopulicola grows columnar like a tree and pups from the base. 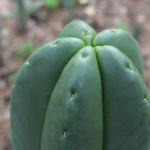 But it´s actually rare for this plant to produce numerous shoots and most plants don´t have any side shoots. It can get up to 13.1 feet (4 m) tall and up to 4 inches (10 cm) in diameter. It can have 4 to 6 ribs though most specimens have 5. The areoles are sunk in and have very little white fluff/wool on top of them. 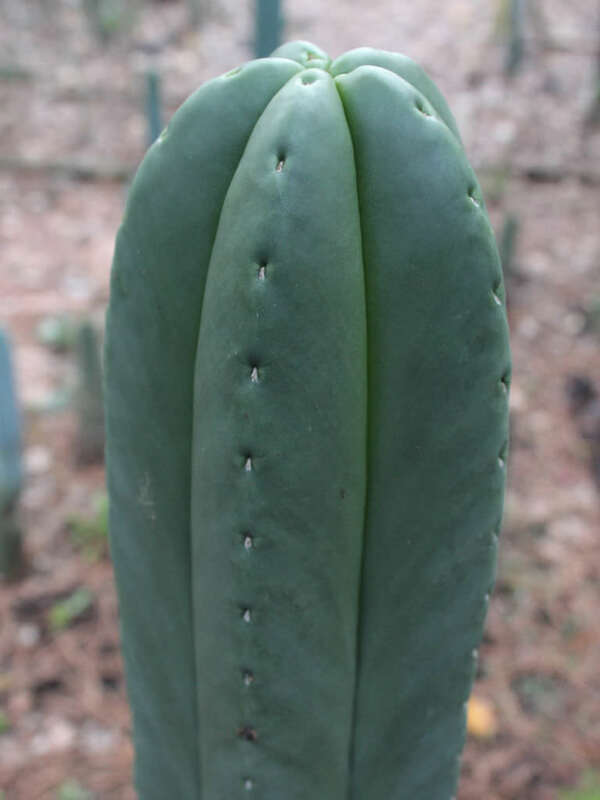 This cactus is also noted for its unusually short spines. 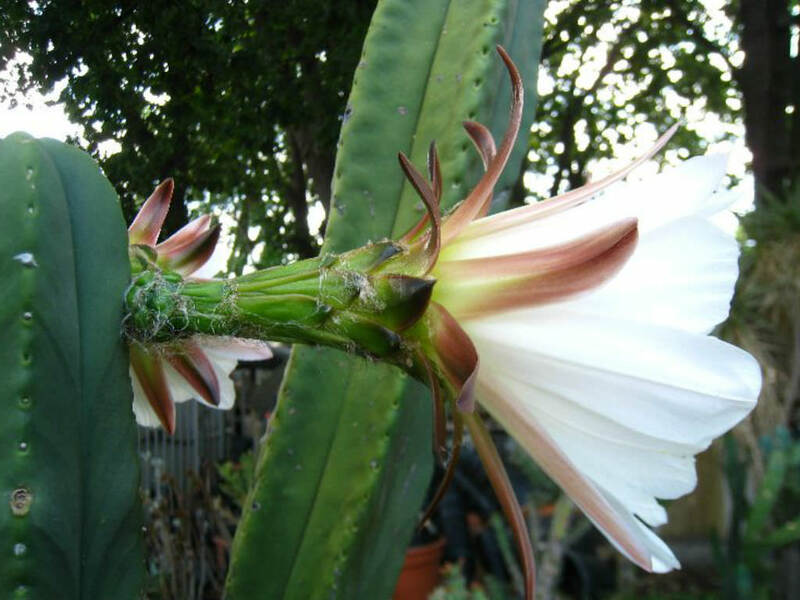 The flowers are white and up to 9 inches (22.5 cm) long. 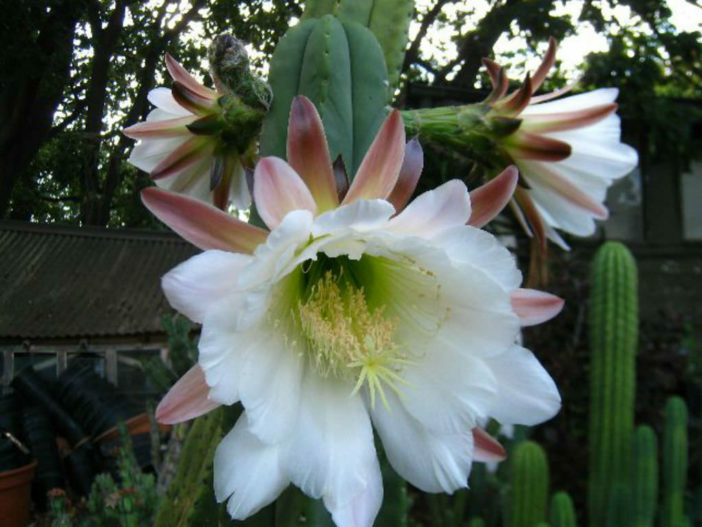 It is a night-flowering species but the flowers stay open until the late morning. 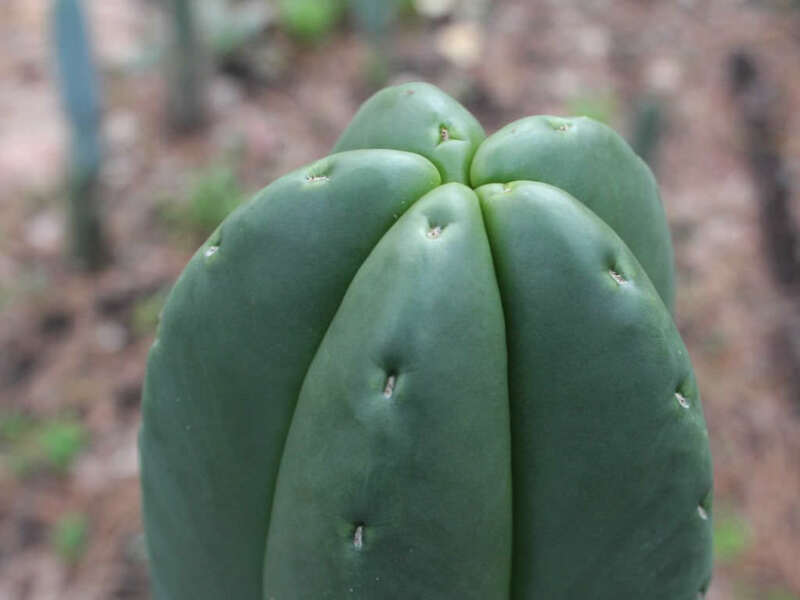 The fruit is green and can get up to 2.4 inches (6 cm) thick. 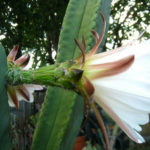 Echinopsis scopulicola is native to Bolivia.